Second helpings often taste sweeter and more fulfilling than the first course. That’s why we ask for them. So it is in boxing, where there is a genuine hunger for a re-match between Billy Joe Saunders and Chris Eubank Jr, who provided us with such a spicy first serving six months ago. 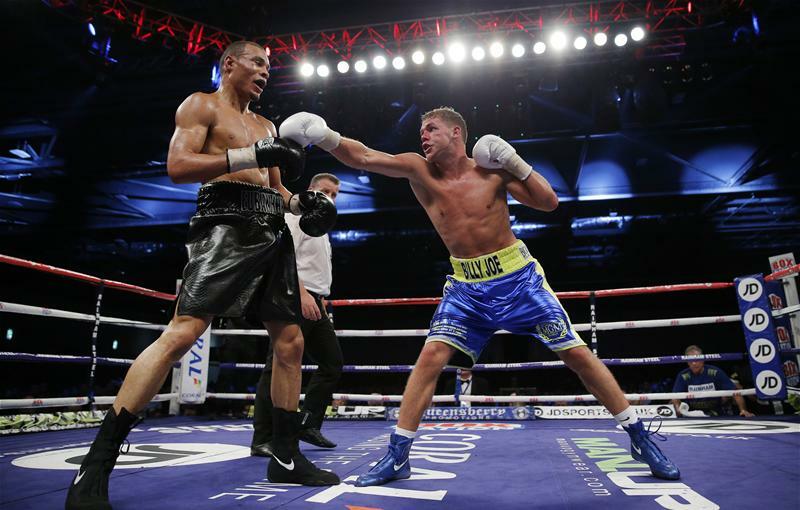 It was a fiercely-contested scrap which really whetted the appetite for another sizzling set-to between the best young middleweights in the land. Alas, despite protracted negotiations it still has to happen and I am beginning to wonder if it ever will. The stumbling block, as always, is Chris’s egocentric old man. Just when we think terms are agreed, and pens are poised over the contracts, along comes another outrageous obstacle. We even pulled both fighters off last weekend’s Wembley show so they could concentrate on rehearsing for Act Two, and even booked West Ham’s Upton Park. But we’ve had to cancel several press conferences planned to announce the second fight as Eubank Snr ummed and aahed. As I’ve said before, dealing with him is nightmare. Bloody frustrating, and that’s an understatement. There’s no logic to it. All terms were agreed, but Billy made it very clear, from day one, that he would only take the fight if it didn’t affect his position as challenger to the WBO World Champion Andy Lee who is out injured until September. Billy recently confirmed this on social media. Therefore Eubank would have to vacate his WBA Interim title, which his father was advocating he should do to challenge for the British Title just a few weeks ago. Now Snr. says he will not vacate the title so therefore the fight may be dead. Understandably Saunders is fed up with the wrangling and procrastination and so am I. As the winner last time Billy Joe rightly reckons he is in the driving seat and says he is no longer going to be messed around. So as things stands their much-anticipated return has bitten the dust and we are now going ahead with another fight for Saunders as a prelude to his WBO world title shot against Andy Lee in September, once the Irishman has recovered from injury. Quite where Chris Jnr, a decent lad with obvious talent, goes from here I don’t know. And, I suspect, neither does his dad. It is a shame because the fans are missing out on what would be another tremendous fight, and the boxers on a great pay day. The trouble with Eubank Snr is that he revels in his own idiosyncrasy. Always has done, and to some extent this helped make him the character – and fighter – he was. The game still chuckles at his feigned outrage when he claimed that the late promoter and matchmaker Mickey Duff “tried to sign me over a plate of fish and chips.” What he didn’t say that it was consumed at Sheekeys, one of the most famed – and expensive – high class fish restaurants in London, and cost Duff a tidy few bob. Well, Eubank Snr is still making a meal of things as his son’s mentor, proving himself as cantankerous and capricious as ever. Thankfully, there is one return domestic dust-up that definitely will happen in the coming months. Frank Buglioni and Lee Markham fought themselves to a crowd-pleasing standstill in what was Britain’s fight of the year so far at Wembley. 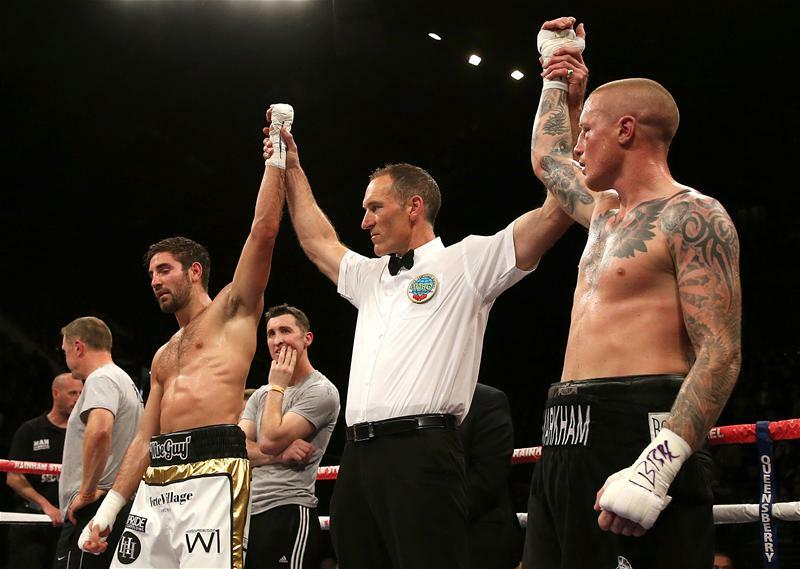 It was scored a draw after ten pulsating rounds which means Buglioni retains his WBO European super-middleweight title. Happily there was was no hesitation from either camp in agreeing to do it all over again. In my column last week I predicted that Floyd Mayweather Jnr. is likely to go on to break heavyweight great Rocky Marciano’s 60-year-old record retiring undefeated as world champion after 49 fights. Not so according to Independent reader Robyn Bunting, pointing out that it is a popular misconception that Marciano actually holds the record and that this actually belongs to one Ricardo Lopez. Strange but true. Mexican Lopez retired in 2001 unbeaten after 51 fights (which included one draw) as world strawweight (ie the minimum weight) and light-flyweight champion. He actually defended his WBC strawweight championship a record 21 times, and won WBA and WBO belts in the same class. López later won the IBF light-flyweight championship and defended it twice before retiring. He is also the father of undefeated flyweight prospect Alonso Lopez. So Rocky’s been ko’d by a man half his size. Not many people know that and I’d certainly overlooked it. Good spot Robyn. The little fellas in boxing often get short shrift. Mexicans like little Lopez have always been among the most exciting and prolific in the game. Top of the Latino pile at the moment is light-middleweight Saul Alvarez, who recorded the 45th win of his career when he knocked out American James Kirkland in the third round in Houston, Texas, flooring him in the first and twice more in the third. Alvarez – nicknamed Canelo, or Cinnamon, because of his red hair – is a concussive puncher as Kirkland will testify. He was laid spark out..“I did not see the punch coming.” the Texan admitted. A former WBC and WBA champion at light-middleweight Alvarez now hopes to fight Puerto Rico’s Miguel Cotto for the WBC middleweight title later this year. At 24, he is high among the contenders to be the natural heir to the Mayweather mantle; the Money Man happens to be the only opponent to have beaten him – on a split decision in 2013, a result that also shows why Mayweather himself remains such a class act. British boxing’s shock of the week came not in the ring but with the revelation that unbeaten (18-0) super-bantamweight starlet Kid Galahad, the Commonwealth champion, has failed a drugs test and been banned for two years. Born Abdul Barry Awad in Qatar, the 25-year-old from Sheffield tested positive for Stanolozol, the drug used by Olympic sprinter Ben Johnson – after a home-town bout last September. Curiously, the test result was kept under wraps until this week , when the ban was announced with Galahad claiming an energy drink had been spiked by his brother in an argument over money. He is appealing the ban. Good luck with that one. Embarrassingly, the positive test came a month before he was named Best Young Boxer of the Year. Will he now be stripped of that title as well as the Commonwealth crown?